How often do you look over at a table in a restaurant and find that instead of talking to each other, people are tapping away on their phones? Ironically, it can be said that while mobile phones are helping to connect us to more people, they are also making us less sociable with the people in front of us. 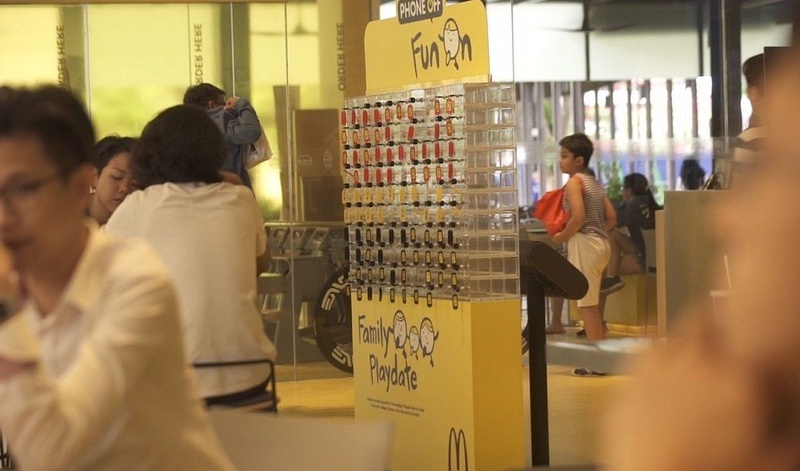 This issue is being tackled in McDonald’s latest campaign, ‘Phone Off, Fun On’ which launched in its Marine Cove restaurant in Singapore. In an effort to encourage families to talk to each other more at meal times, 100 transparent phone lockers have been installed that allow diners to store their phones away during their visit. 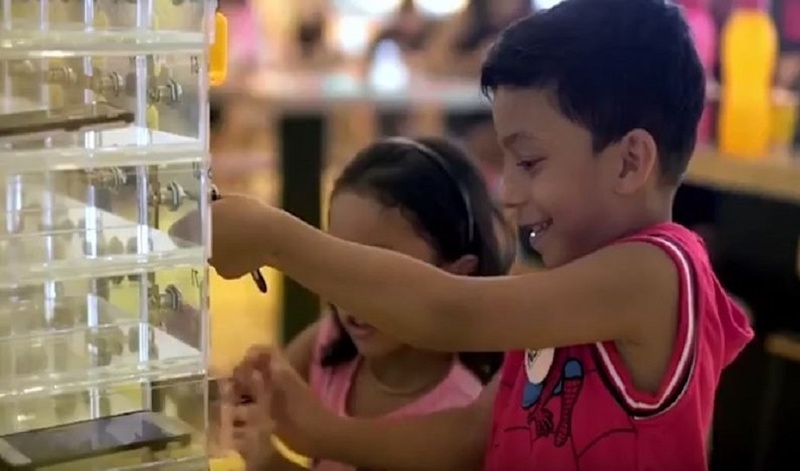 Linda Ming director of McDonald's Singapore's brand communications and customer care, told CNN “the 'Phone Off, Fun On' initiative is part of our efforts to advocate family togetherness and encourage families to spend quality time together." The campaign was launched in response to a survey of 302 parents by McDonald’s in Singapore which found that 72 per cent of children and 69 per cent of adults use their phones during meals. McDonald’s has received a lot of support for the campaign on social media with many praising the brand for endorsing family time over mobile phone use. Although this doesn’t appear to be reflected in the number of people using the lockers as photos have surfaced (ironically on social media) of the completely empty lockers. The clever experiential stunt has certainly got people talking. In addition to lots of social media mentions, the campaign has received widespread global media coverage. It was covered on The TODAY Show which ran a poll that revealed the majority of its viewers (57%) did not think phones should be banned at the table. So will McDonald’s customers start to embrace the ‘no phone’ rule? We’ll have to wait and find out. This isn’t the first time the brand has attempted to get people to put their phones down. To launch its new sharing pack, it released a video and social media campaign celebrating offline interactions. McDonald’s has a history of entertaining and engaging families with its experiential activities – we particularly love this theatrical drive-thru stunt. For advice on how to engage with all members of the family through experiential activity, check out these five useful tips for family brands.